Find It Kids is a brightly contained adventure. The tube holds 48 items for your child to find hidden in brightly coloured pellets. 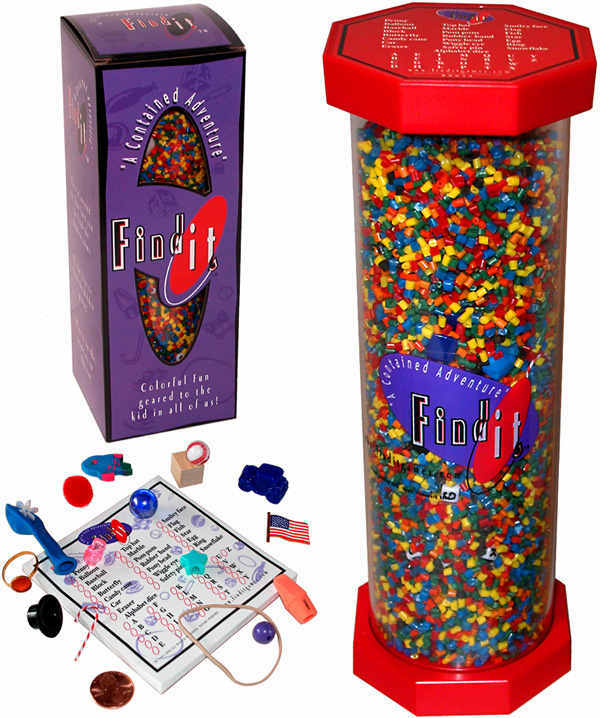 This game helps get your little one focus ready as it captures attention, promotes concentration and observation. This is an exciting game which is great for travelling as the pieces can never get lost. They can shake it, spin it, tap it to locate the items on the list at the top of the tube. Kids love playing by themselves or with a group … even better if you can set them a timer and they can have a race! Work on your child being word ready by having them describe what they are looking at without using its name. For example, I am looking at something that is green and can transport me places, answer – a green car. You can flip it and have them find things that you have only described, not named. Help get them memory ready – set a timer and see how many things they can find in 10 seconds – can they remember the list of things they found? As children’s skills progress, there are other Find It games available. Find it Kids is available from Mighty Ape (www.mightyape.com.au), Lil Treasures (www.liltreasures.com.au) or checkout our Pinterest board for DIY instructions on how to make your own.